I promised to get you this chapter quickly because of the cliffhanger. Cliffhangers are not really my style – I just didn’t know where else to leave the last chapter. But hopefully, a quick update fixes that. NOTE about this chapter: AFTER you read it, you may want to consult the new pages on the side bar menu under Elisa’s Pedigree. You will need them going forward. A big thank you to everyone who commented in the last chapter, along with everyone who reads and follows. As of now, this little blog has exceeded 1,000 followers!!!! And it’s all because of your word of mouth. So thank you for spreading the word. Please help me make Thirty Nights and Ninety Days as dear to others as it has become to you. 🙂 So for every time you have read, told someone about it, and sat down to drop me a note, thank you. A special hug to Ariadne for her guidance on British things and to my friends “S” and Arilee for always being a good soundboard. The title of this chapter “Sub Rosa Reviresco” has a special meaning to Elisa, as you will see. 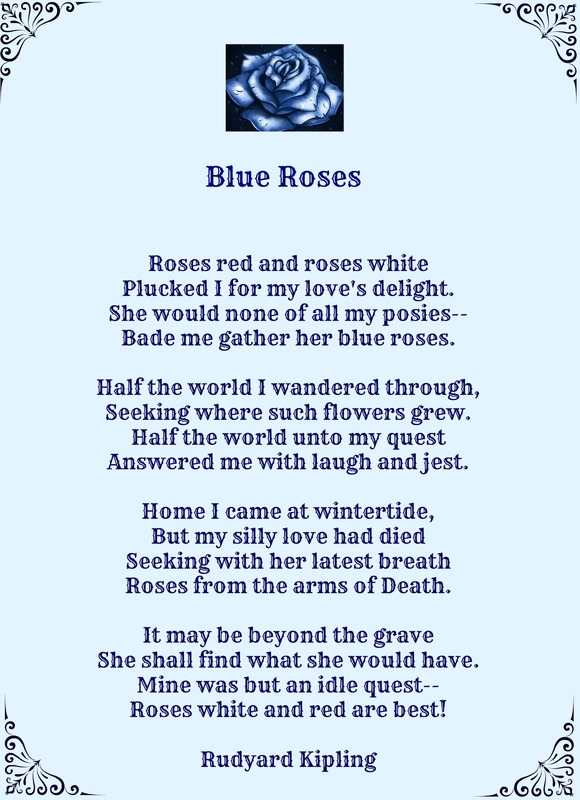 It means “Under the Rose, I reflourish.” Finally, the Blue Roses Poem below is important to this chapter so you may want to refer to it as you read the chapter (or before). Link and song below. Pinterest will be uploaded soon, so as not to spoil it for those who will see my postings through my FB page.